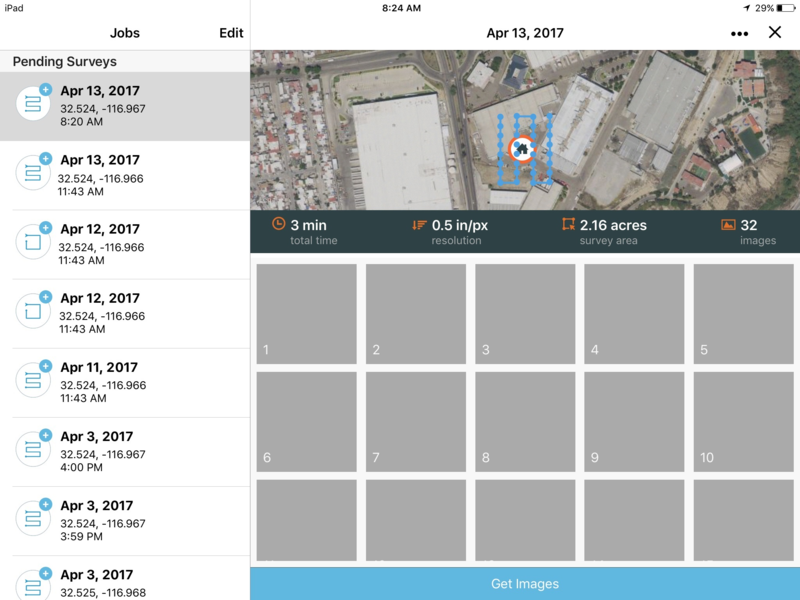 Site Scan – Esri Edition is a mobile app that makes it easy to collect accurate, high-resolution maps and models for Esri ArcGIS® customers by using drones. Built with LAANC authorization, the Site Scan – Esri Edition app integrates seamlessly with ArcGIS® and allows Esri ArcGIS® customers to create and execute flight plans, overlay ArcGIS® layers onto their flight plans, and download photos from their flights. The Site Scan – Esri Edition app is currently available for free for all ArcGIS® customers. Anyone with Esri® or Esri® portal login credentials can access the app. Once you download the app from the App Store, Esri® customers with partner portal access will have the option to select a specific ArcGIS portal URL. Any other regular ArcGIS® users can click on the sign in to Site Scan – Esri Edition button (without having to fill out the portal URL). Once you click on the sign in button, you'll be redirected to your standard ArcGIS® login page, which will request your Esri Username and Password. 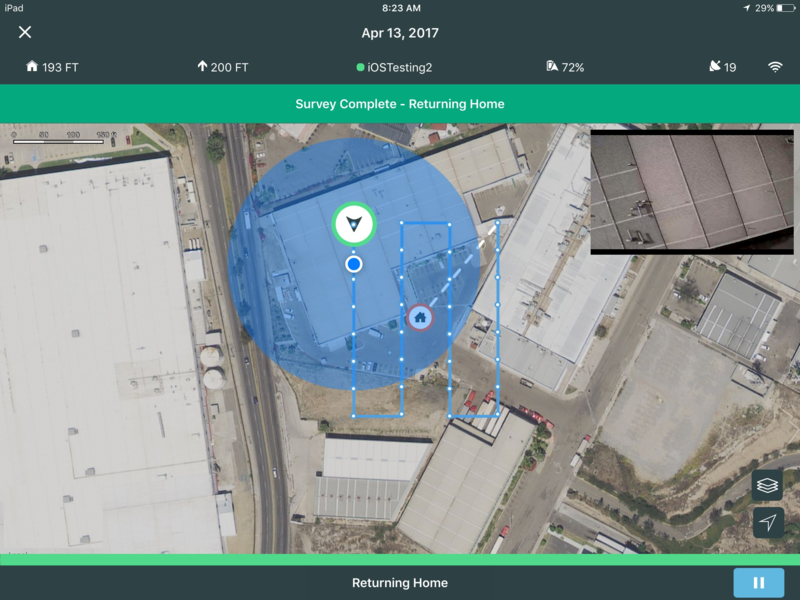 You can start setting up your Site Scan – Esri Edition account by connecting your drone to the iPad. 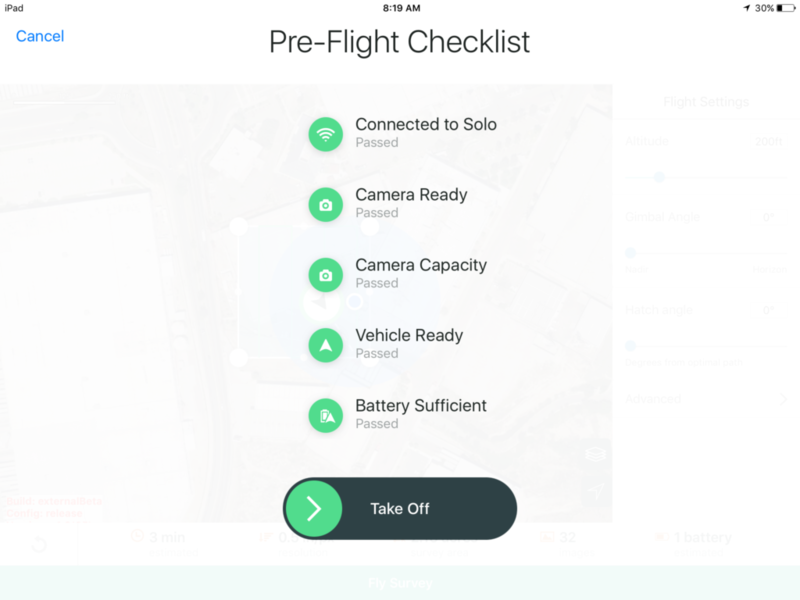 Here is a list of drones that are currently supported by the app (the Solo consumer drone is not compatible with the Site Scan – Esri Edition app). As a first time user, you'll have the option to create a new project. If you're a recurring visitor and have saved your previous data, you'll be able to access any of your past projects. Once you've created or selected a project, you'll be taken to the flight modes page. Check out our guide to the different flight modes in Site Scan here. By selecting any of the available flight modes you’ll be taken to the map view screen. Here you can select the Flight Name and the Location of Flight Area, as well as browse through all the active folders in your ArcGIS® account. You can overlay any of your saved ArcGIS® maps into Site Scan. By toggling on any of the layers available in your ArcGIS®, these will appear on your current map. Once you've added all the necessary layers you want to your map, you can click the Next button. Here you will see the telemetry information at the top and the aircraft location on the map (when GPS connection is established). 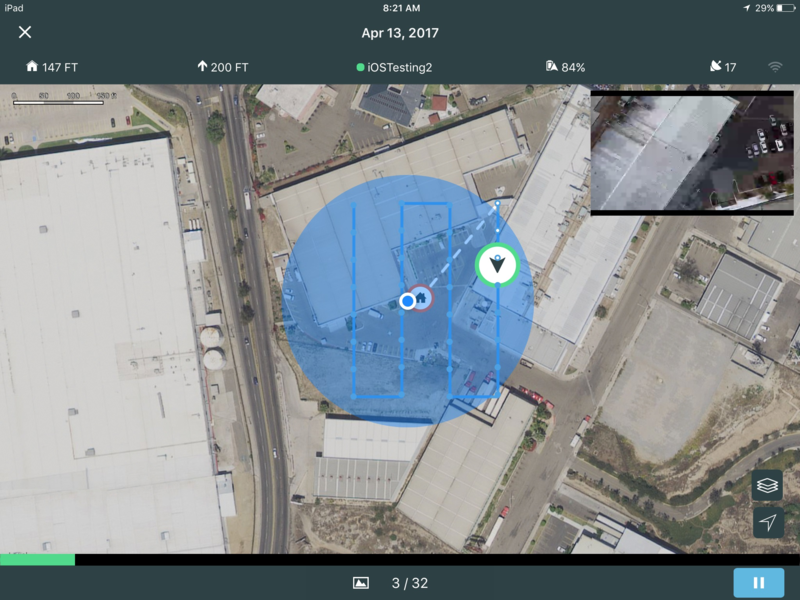 On the left side of the screen you will find the Flight Settings sidebar which allows you to modify the altitude of the survey, the gimbal angle and the hatch angle, among other options. You can modify the Altitude at which the survey will be performed by moving the slider under “Altitude”. A higher altitude will impact your resolution per pixel but will also translate to having to take less images and less flight time. Moving the Gimbal angle slider will determine where the gimbal is pointing during the survey, be it straight down (Nadir) or straight forward (Horizon). Next, modifying the Hatch angle will allow you to choose an optimal path for the vehicle to take during the survey. It’s best to choose a hatch angle that decreases the amount of turns in the survey; please note that the Hatch angle is optimized by the application but you can modify it per your needs. When on this screen, a box will automatically be created displaying the area of the survey. You can drag each of the 4 corners to move the vertices around and place the survey box over the area of interest. Tap and hold the corners to move the vertices around. Press and hold the center of the polygon to drag the shape around the map. You can create new vertices by grabbing the small circles in between each vertex. On the bottom of the screen is an undo button. Flight info in the bottom bar show how long the mission is expected to take, the estimated ground sampling distance (GSD) of the photos, the acreage, and the number of photos expected to be taken. To begin flying the planned flight, hit the green “Fly” on the bottom of the screen. This will initiate a checklist while that confirms the aircraft, camera, and software are ready to fly. Slide the green circle to the right to takeoff. Your drone will takeoff and climb to the desired altitude. The drone will fly the path noted on the screen. The dots will turn white after the aircraft has passed that waypoint. 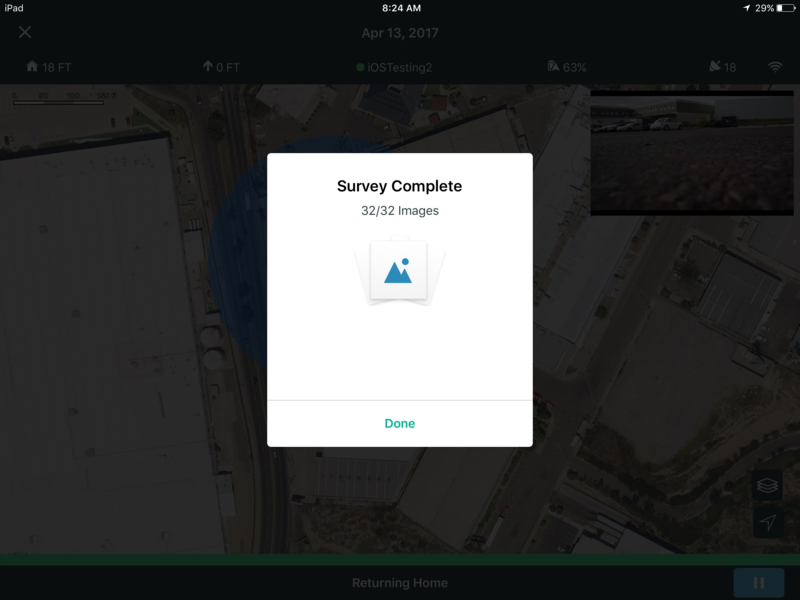 A progress bar on the bottom of the screen indicates the progress of the mission, while the numbers at the bottom indicate the number of photos taken vs the number of photos required for the mission. During flight you can pause the mission by pressing the pause button on the bottom right of the screen. After the survey is complete, the aircraft will return straight to home. After landing, the app will retrieve the flight data from the aircraft. This may take a few seconds to complete. After the flight data has been retrieved, the app will display the number of photos taken and geotagged. It’s best to leave the vehicle and controller on while retrieving images. After the flight is retrieved, click the “x” at the top left of the screen to go back into “Flight modes”. A flight notification will appear on the upper left side of the screen. Clicking on this button will open the flights page. You can rename the flight by clicking on the ellipses (…) on the top right. To retrieve your images you can pull the SD card from the drone and add them to your laptop or work station. If you're using an R10C drone do not pull the SD card from the drone to transfer the images to their desktop, as this will delete all of the image data. Download the flight photos and search for them in the Albums section of your Photos app. You will then be able to transfer them to your desktop. Once you have the photos in your laptop, you can upload them to Drone2Map® and follow any of your regular workflows. You can create an orthomosaic map, which you can then save and use as a layer in your Site Scan – Esri Edition app. All of your flight data will only be stored locally on your account and the iPad you used for the flight. None of your data will ever be stored on the 3DR cloud. If you log out of your Site Scan – Esri Edition account, you will have the option to save all your flight data from that session, or delete all your flight data. This change is irreversible, so make sure you save any flights you want to keep before logging out.